A bill that would have placed restrictions on delegates to a potential Article V convention of the states failed to advance from general file April 5. 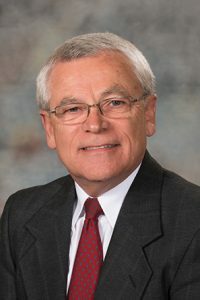 LB1058, introduced by Hastings Sen. Steve Halloran, would provide the rules and procedures necessary to guide a delegation to an Article V delegation. Halloran said 28 out of the 34 states required to call a convention have done so and Nebraska must be prepared. The Legislature would elect five delegates and five alternative delegates from its membership to represent the state at a convention. Both would be required to take an oath promising to not vote on any amendment to the U.S. Constitution that has not previously been approved by the Nebraska Legislature. If a delegate does cast an unauthorized vote, he or she would be disqualified from continued service in the role. Knowingly casting an unauthorized vote would be a Class IV felony, punishable by up to two years imprisonment with 12 months post-release supervision, a $10,000 fine or both. Rather than selecting state senators, a Government, Military and Veterans Affairs Committee amendment specified that the lieutenant governor, state auditor, secretary of state, state treasurer and speaker of the Legislature would serve as delegates. Alternate delegates would be selected by the Legislature’s Executive Board from the chairpersons and vice chairpersons of the Legislature’s standing committees. Additionally, the state attorney general would have sole authority in determining whether a vote is unauthorized. Supporting the measure was Crete Sen. Laura Ebke. She said there needs to be a clear and thoughtful process in place to choose delegates who will represent the state’s interests most accurately and responsibly. Lincoln Sen. Adam Morfeld opposed the bill. He said that once the convention begins, every part of the Constitution will be on the table. 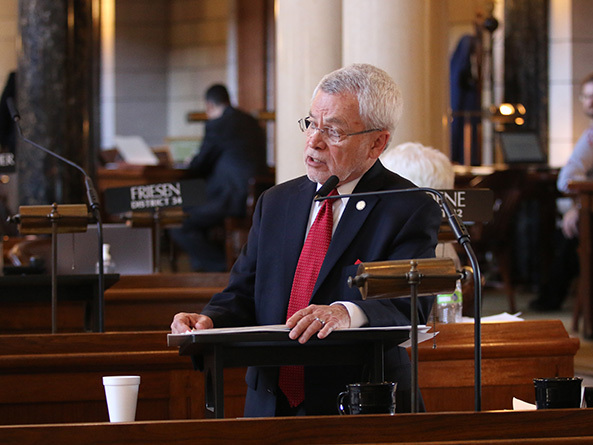 Also opposing the bill was Lincoln Sen. Kate Bolz, who said a convention called to pass a balanced budget amendment could have a devastating impact on the state’s budget. Nearly $3 billion in federal funding comes into the state budget, Bolz said, with $400 million going to the K-12 public school system alone. The committee amendment failed on a 20-24 vote. LB1058 failed to advance on a 23-21 vote. It is unlikely to be debated again this session.